Recently, I was having dinner with a number of close girlfriends and their daughters. Afterwards and on the road home, my daughter commented that I was the only woman at the event who was not widowed. My friends are all in the early to mid-60s. Of course, I knew this about each friend. As a gerontologist, I also know the statistics about widowhood. Still, my daughter’s comment shook me. I know that in 2015, roughly one in four, or 25 percent of people 65 and older, was widowed. Of the nearly 14 million widows and widowers in the U.S., 11 million of the widowed are women. The percentage of those widowed dramatically rises with age, for both sexes, but more so for women. These numbers sadden me. The thought of losing my husband is something I dread. But widowhood is a statistically ‘‘normal’’ experience for older persons, especially older women. While widowhood is considered one of the most distressing transitions experienced by older adults, we are reminded of other older women — and men — who never have been married or are divorced. Meeting one’s needs for love and intimacy varies substantially by many individual preferences and factors, such as one’s orientation, financial status, disability and even feelings of disapproval by younger family members and society. But, for most people, and regardless of age’s life transitions and challenges, we crave intimacy, friendships and love from our partners, our families, our friends and others in our lives. Here are some thoughts to consider. Aging Thoughtfully: Conversations about Retirement, Romance, Wrinkles, and Regret by Martha C. Nussbaum and Saul Levmore, Oxford University Press. Second, it is time to debunk all of those denigrating myths about older adults, especially those around older women, that announce that aging women must graciously renounce sexual love, leaving it to the young. 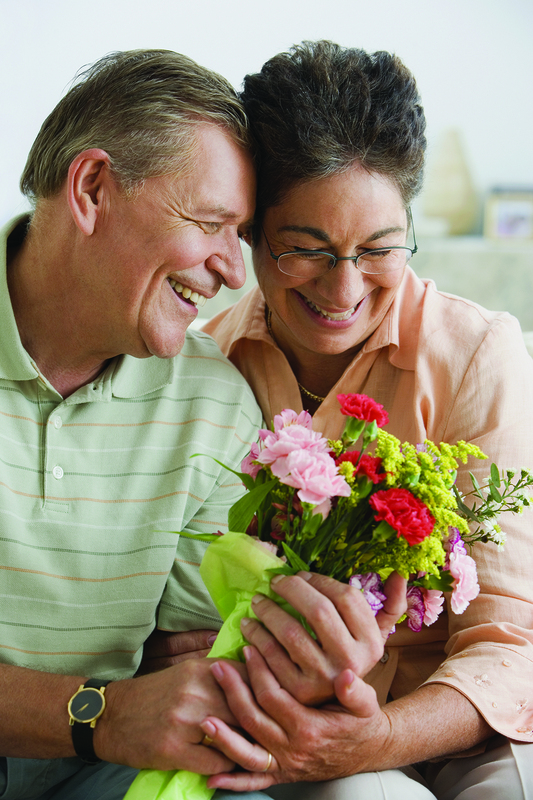 Recent research tells us mature love is both sexual and personal and that sexuality in older adults is highly personal, based upon memory, humor and shared history. For that reason, it can have a depth that youthful love can’t have. So, we need more knowledge and healthy attitudes about meeting emotional and sexual needs and feelings of older adults living in the community or in long-term care settings. Finally, let’s remember that we are talking about grown-ups here. How you handle this issue should be completely up to you. Don’t let others tell you what you want or don’t want, or what you can do or not do. Between consenting adults, there is no right or wrong way to do this. Love doesn’t always endure. We need more women, and men, to move away from stereotypes and to explore their own truths. But that is another story.